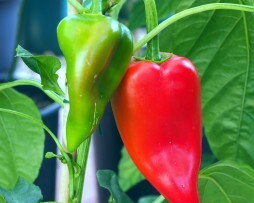 The serrano pepper originated in the mountainous regions of the Mexican states of Puebla and Hidalgo. If you love Jalapenos but want a little extra kick, these are your guys. 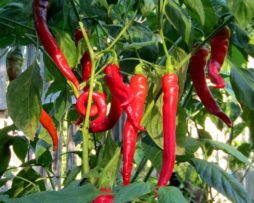 Probably one of the most widely used chillies in the world, they are perfect in salsas, relishes and sauces and are great for frying too! They are commonly eaten green but if you want them a little sweeter, you can let them turn red on the bush. Everyone should grow these! 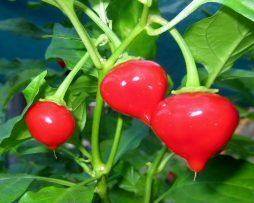 The Shishito is extremely well known in Japan and is one of the best, so called, ‘frying peppers’ that there is. 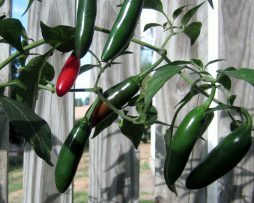 It turns from green to red but is usually harvested green and tastes ever so slightly like asparagus. It can be eaten raw in a salad, stewed in soy sauce or, our favorite, fried in olive oil and salt. You just can’t stop eating them and if you Google it, you will find a huge amount of recipe’s for this one. This Shishito has no heat, BUT, strangely enough; about one in every twenty or so has a good kick of heat. No one knows why! One of the best there is. Just do it…. Another rare Turkish heirloom all the way from the city of Adana. 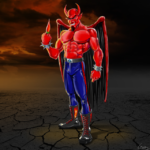 This chilli pepper is the one of the juiciest chilli peppers we have ever tried. The term “sulu” means juicy in Turkish language, it is sweet, extremely juicy, and thick. 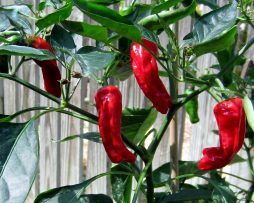 The plant is relatively short and quite productive with cone shaped smooth green pods turning bright red right before your eyes. 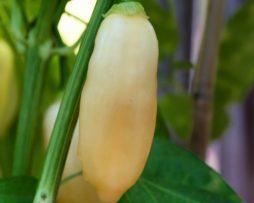 Sweet Pickle is one heirloom variety of sweet pepper that we will be growing every year. 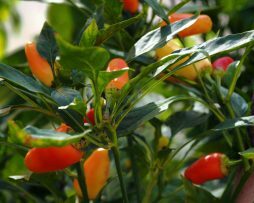 This variety is just such a gorgeous “edible ornamental!” The multi-colored little peppers stand upright with a size of 4cm x 2cm on average. 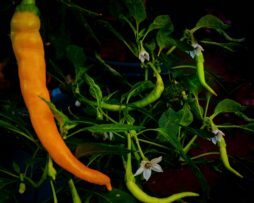 These crisp, sweet peppers taste even more wonderful when they've completely ripened to red – but if pickling them they are super good when yellow and orange too. Having not one ounce of bitterness in the seeds you can munch on them straight out of the garden or pickle them whole. A glorious choice for those who love sweet peppers without the heat. Why not make your own Tabasco sauce with these little zingers. 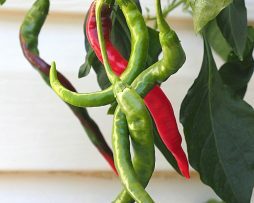 Tabasco chillies are extremely prolific with the pods maturing from green to yellow, and finally red. 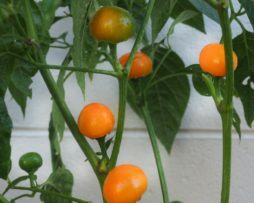 The plant grows to just over a meter tall but would go well as a patio plant if pruned right. 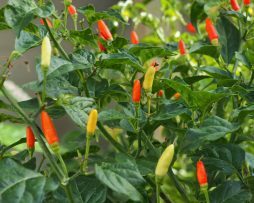 Native to the Mexican state of Tabasco, the peppers are commonly used to infuse vinegar and are also the primary ingredient of the famous Tabasco sauce. They are tangy spicy but not killer hot as peppers go. Super easy to grow and colourful in the garden. The Thai Birdseye Orange has the most gorgeous vibrant colour. 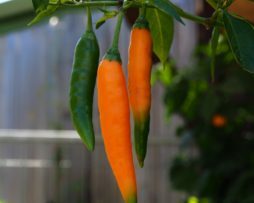 The 7cm long, finger-shaped fruits are show-stopping when they turn from green to orange and can be used for either ornamental or culinary use. You don’t need an iron cast tummy to eat these sweet fruity delights and they are very versatile in the kitchen. Plants grow quite tall at about a meter and they are very easy growing.